I like this product. I am a new cigar smoker and found it easy to use. It can also be put on your keys so it will not be misplaced. I would recommend this product. The Visol Torpedo is a very light-weight, discrete and functional cigar punch. It comes with three available options; 8mm, 1cm, 1.4cm. 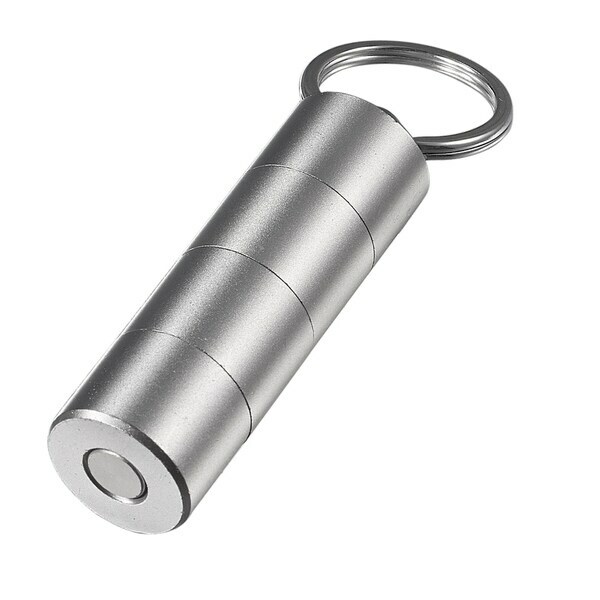 The Keychain allows your to attach it to a cigar case, making it easy to transport. The slim and light profile allow you to carry it in your pocket unnoticed. The design, along with the solid black aluminum body make this a must-have accessory for any cigar lover that's constantly on the move.